If we can believe the figures released to the public, enough cash was put in play to float a small third-world country for years. Last March, retired Army Lieutenant Colonel Ralph Peters, the network’s National Security Analyst, added to the turmoil when he emailed colleagues he was quitting after 10 years because he was “ashamed” of what his employer had become. Implicit but not stated in Peters’s diatribe, is the lurking specter of censorship. He accused the network’s primetime hosts of “dismissing facts and empirical reality to launch profoundly dishonest assaults” against the network’s targeted enemies. 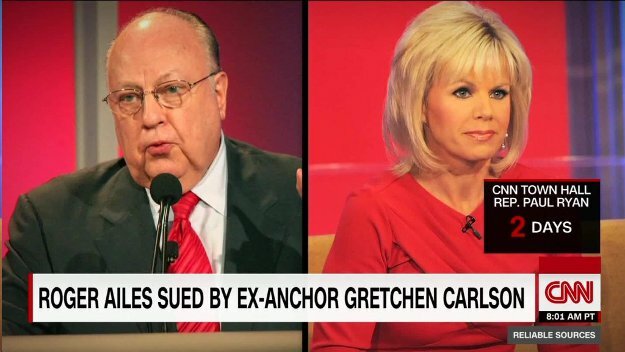 Fox News dismissed Peters’s charges stating they were happy with their on-air people. Peters was the most recent to jump ship at Fox News. Earlier, news anchor Megyn Kelly abandoned the network for marquee billing at NBC. Chairman and CEO Roger Ailes had resigned amid charges of sexual improprieties, and days later Greta Van Susteren jumped to MSNBC. A comparison with Katherine Ann Porter’s “Ship of Fools” would not be a stretch. The novel throws together a gaggle of desperate characters for whom a second-rate ocean liner provided a steel cocoon that protected them against an increasingly hostile world. An easy comparison would be Fox News. It offered an ultra-conservative bulwark for millions of Americans who believed the three major networks had been bombarding them with liberal screeds for decades. Implicit was his fear that his former bosses doctored the news to meet the real or imagined needs of their viewers, in short, censorship. In a world where social media has crowned minutiae king, is this possible? Early in my career, I discovered that censorship in the hands of the powerful is insidious, and can be accomplished with relative ease. His empire included the city’s newspapers, a local television station, and news outlets in nine states, enough muscle to earn him a seat on the AP board of directors. That night he decided the fire-bombing of a police paddy wagon, sniper shots and isolated looting was a disturbance that could be handled with a minimum of force, and his news outlets would handle it as such. In a few months, overwhelmingly white snowbirds, a major source of tourist income for Arizona, would begin their early migration from the north. Even a whisper that a race riot had occurred would be suppressed. First inkling that something was awry came when Bureau Chief Tom Aden, ashen and obviously distraught, brushed past me into our cramped bureau and grabbed the telephone. He had been given the word at home by a Pulliam minion that the AP was on its own. We were denied use of the newspapers’ darkroom and photo transmission wires, off-duty photographers were out of bounds, as was access to their news stories. This flew in the face of what made the AP work, a cooperative effort between local bureaus and news outlets. Aden was forced to import from Los Angeles a photographer and everything necessary to set-up a darkroom and photo transmission facility in a nearby motel. Our news copy continued to flow, and after a day’s delay, so did our photos. During the next three days a curfew was imposed, several police cars, homes and a pickle factory were torched. Looting was widespread. A 17-square block area was sealed off as Mayor Milton Graham circled the area and in an open car bull horned residents that the senseless destruction would be contained. Backing him up was a cordon of 376 policemen, joined by sheriff’s deputies, state highway patrolmen, firefighters and police cadets wearing white steel helmets because of snipers. Graham followed Pulliam’s lead that this was not a riot or even a disturbance but was only a “civil disobedience.” When the curfew was lifted, 280 “disobedient” residents were arrested, including 38 juveniles. A riot that really wasn’t a riot was over. Despite Pulliam’s efforts, it didn’t escape the attention of President Johnson’s Kerner Commission, which labeled it “a major disturbance,” and summoned Graham to Washington to describe what really happened. In 1967, one young reporter learned an enduring lesson that censorship can originate anywhere, and when hidden amid today’s insatiable, often inane social media babble it’s easy to be disguised. Born and raised in Newark's crime-ridden Third Ward, although far removed during a career as a multiple award-winning journalist, Steve Bassett has always been the proud sobriquet Jersey Guy. He has been legally blind for almost a decade, but this hasn't slowed him down. Bassett has written two nonfiction books, The Battered Rich and Golden Ghetto: How the Americans and French Fell In and Out of Love During the Cold War. Continuing with his newest fiction release, Father Divine’s Bikes, readers share in his insights that earned him three Emmys for investigative documentaries, and the California Bar Association's Medallion Award for Distinguished Reporting on the Administration of Justice. He now resides in Placitas, New Mexico with his wife, Darlene. For more information, please visit stevebassettworld.com.